Home / viral post / CJN Onnoghen: Assets Charges Against Me Useless || CCT Says "You Have Case To Answer"
CJN Onnoghen: Assets Charges Against Me Useless || CCT Says "You Have Case To Answer"
The suspended Chief Justice of Nigeria, Walter Onnoghen, has described the allegations and evidence brought against him at the Code of Conduct Tribunal (CCT) as invalid. He said this through his counsel, Adegboyega Awomolo, on Friday. He is facing a six-count charge before the CCT for allegedly failing to declare his asset after 2005. The CJN, who was present at the tribunal on Friday, made the assertion as parts of arguments from his lawyers in their no-case-submission. After the prosecution closed its case at the last adjourned date, the lawyers representing the suspended Chief Justice, led by Mr Awomolo, said they would present their application for a no-case submission at the next hearing date. According to Premium Times, Mr Awomolo, a Senior Advocate of Nigeria, therefore highlighted several points to discredit the arguments of the prosecution. 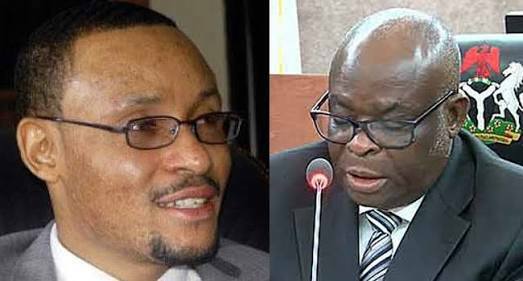 Regarding count one of the charge, Mr Awomolo said the CCB accused Mr Onnoghen of failing to declare his asset between 2005 to 2015. He added that there was no report of the CCB’s investigation to back that allegation. “Count one alleges that between 2005 to 2015, the defendant did not file any asset firm. No report of investigation to show that this is true. “Pw 2 told the tribunal that there is a register and a director managing the register, where all declaration of asset are registered and kept. “Neither the register nor the director, nor the departmental schedule officer were brought before the tribunal,” Mr Awomolo said. Consequently, he said the allegation was a mere “hearsay, irrelevant and useless. The defendant has no duty to show that he has filed forms. Where is the proof? There has not been any attempt by the prosecution to prove it,” Mr Awomolo said. Regarding the documents presented as exhibits two and three, Mr Awomolo said the CCB confirmed that the declaration forms were not verified by the Bureau. He then added that the Supreme Court had ruled during a similar case involving the Senate President, that such verification was necessary. “They must show that exhibits two and three have been verified. Otherwise, without verification, there can be no allegation of false declaration or omission,” he said. He read through sections of the Supreme Court ruling to suggest that the authorised person must have investigated the statement in the declaration form. Mr Awomolo also faulted the admissibility of the bank documents, stressing that they were addressed to an institution other than the parties involved in the matter. Mr Awomolo said the Supreme Court had held that the Economic and Financial Crimes Commission (EFCC) and the State Security Service (SSS) have no business being part of the investigation of the CCB. “So it is illegal,” Awomolo said. Mr Awomolo, therefore, described the documents as “strangers.” He said “Exhibits four and five is not part of this proceedings." Mr Awomolo added that the Bureau failed to produce a certificate to authenticate the computer generated documents presented in court. He said the failure of the prosecution to do so, rendered their documents inadmissible before the tribunal. “Section 84 (2) (4) of the evidence act demands that there shall be a certificate issued by the maker of the computer generated evidence. Responding, the prosecution lawyer, Aliu Umar, said the submissions of the prosecution that the documents were addressed to the EFCC can not be relied upon. According to Mr Umar, what mattered was the compliance of the prosecution to the necessary provisions for the trial of the defendant. The prosecution lawyer said the necessary procedures as laid down by the Constitution had been complied with. According to Mr Umar, the government has investigated Mr Onnoghen, applied to the tribunal for his trial and was granted permission to try the defendant. He described the lapses noted by Mr Onnoghen as “internal comminnication procedures” employed by the CCB. Mr Umar said the internal communication should not be weighed higher than the Bureau’s right to prosecute, as contained in section 174 of the constitution, regarding the rights of the Bureau and sister agencies working with the office of Attorney-General of the Federation. “Our first submission is that the internal memo of the CCB cannot override the procedures of the Constitution,” Mr Umar said. Mr Umar added that the arguments brought forward by the defence that the prosecution failed to bring some witnesses should not be entertained. He submitted that the prosecution had offered to let the defence bring the said witnesses, but they declined, saying they did not need the witnesses. Mr Umar then added that the defence cannot turn around after declining to say that a witness was not brought by the prosecution. Mr Umar said the only point made by the prosecution is that Mr Onnoghen failed to declare his asset from 2005, till 2016. He then added that the other detail alleging high influx into Mr Onnoghen’s account was not part of their allegation. In reply on point of law, Mr Awomolo said the witness brought by the CCB had confirmed that the Bureau failed to comply with its own law. The three member panel of the tribunal, led by Danladi Umar, stood down till 1:30 p.m to rule on the no-case-submission. 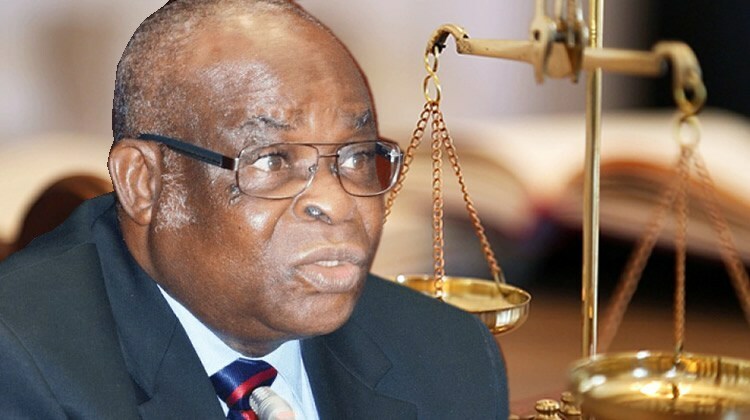 When they returned, the Tribunal dismissed the no-case application brought by Onnoghen. Danladi Umar said the standard operational procedure of the bureau was faulty and must not be complied with by the prosecution. The tribunal adjourned immediately after the ruling. Premiuum Times report that there was uproar in the court room at Jabi, Abuja, as lawyers from both sides confront each other over the decision of the tribunal to adjourn till Monday.